The week after Thanksgiving is when most people begin decorating for the holidays. As you are planning your decorations around the home, keep in mind these holiday decorating safety tips. Make sure that none of your decorations are covering heat vents, baseboard heaters, or space heaters. The heat can cause damage to your decorations or can cause flammable items to catch on fire. Candles are a beautiful part of any holiday decoration. Just make sure to never leave them burning while you aren’t in the same room. They are too often forgotten and can cause an accidental fire. A safer holiday decorating safety tip would be to use battery-operated candles instead. A beautifully decorated fireplace mantle will be admired the entire holiday season. Just don’t let any of the decoration dangle too close to the open fireplace. It’s best to keep any garland laying on the top of the mantle and not draping over the edges. This way, if the fire flares up, your decorations won’t be at risk for catching on fire. You may have a lot of decorations that require electricity. Be aware that a wall outlet can only handle a certain amperage, so you should be careful not to plug in too many strings of lights or other decorations into one outlet. Read this article to learn how to calculate how many of your lights you can fit into an outlet. LED lights use fewer amps, so if you are going heavy on the string lights, they are a good solution. If you use an artificial tree, make sure it’s labeled “fire-resistant”. Artificial trees are easier to maintain than real trees, but some folks love the tradition of going to the tree farm. If you have a real tree, the needles can become brittle and pose a fire hazard. Here are a few ways to make sure your real tree is fresh and safe throughout your holiday season. Make sure the needles are still soft when you buy it. If possible, hold the tree and tap it on the ground to see if too many needles fall. Make sure to get a fresh cut either before bringing it home or just before you plan to set it up. Keep it watered. You may be surprised at how much water the tree will consume every day. As long as you continually keep it watered, the tree will stay fresh. If you have animals or kids, some holiday plants can be dangerous for their health if they eat them like poinsettias, holly, and mistletoe. 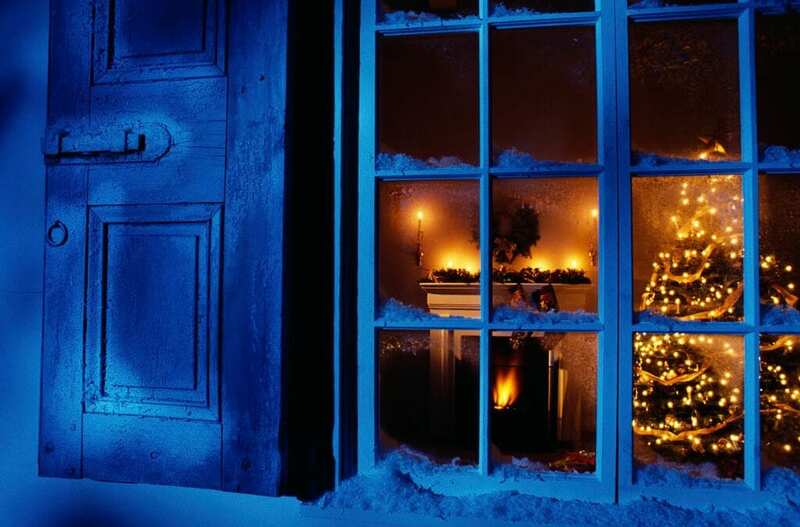 Always turn off all of your decorations including your tree when you go to sleep or if you leave the house. The same goes for candles, fireplaces, and the stove or oven. Holiday decorating safety and responsibly using a ladder should go hand in hand. Always let someone else know you are on a ladder, don’t climb higher than the ladder recommends, and watch out for power lines. It’s important to only use lights designed for outside use when decorating the exterior of your home. Inside lights aren’t designed to get wet and could pose a fire hazard if used incorrectly. Happy Holidays from Guardian Home Inspection Services! We serve Southwest Michigan with home inspection services.